The Heritage Hub is a branch of CLA located in Siem Reap. It supports CLA’s wider mission; to be a catalyst in a vibrant arts sector, inspiring new generations. The Heritage Hub focusses especially on strengthening living heritage – the range of cultural and artistic practices that are part of people’s lives, from music to ritual, crafts, and even food and social interactions. Our current priority is traditional performing arts. The Heritage Hub works through and with CLA’s four core programs, providing guidance, leadership, and expertise wherever projects relate to the living heritage of Cambodia. The Heritage Hub takes the lead on projects that link strongly to Siem Reap and traditional performing arts. 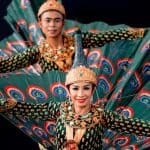 We strengthen living arts and culture to bring cultural, creative and economic value to Cambodia, especially Siem Reap. Keep the living arts relevant to Cambodia today, by encouraging creativity among traditional artists. The Heritage Hub Manager is SONG Seng. If you want to find out more, or learn how you can get involved in activities, contact him at seng@cambodianlivingarts.org.